Best Kept Secret in Christian Missions? Every eight seconds, somewhere in the world another person indicates a decision to follow Christ after watching the JESUS film. That’s 10,800 people per day, 324,000 per month, and more than 3.8 million per year! That’s like the population of the entire city of Pittsburgh, PA coming to Christ every 28 ¼ days. And yet, if you are like many people, you may have never even heard of it. Called by some “one of the best-kept secrets in Christian missions,” a number of mission experts have acclaimed the film as one of the greatest evangelistic tools of all time. 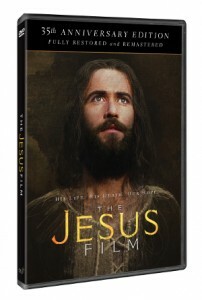 Since 1979, more than 200 million men, women, and children worldwide have indicated decisions to follow Jesus after viewing the film. In addition, through hundreds of partners, an estimated 10+ million decisions have been made as the film JESUS is used extensively by the Body of Christ worldwide. But how can any single film reach so many people and touch so many lives? Read this entire article…or, click here for more up-to-date Mission news articles.